Players don’t have to worry about a mid-stage patch. Though Overwatch received a huge Mercy nerf yesterday, professional players in the Overwatch League won’t see it impact tournament play until mid-February. The Jan. 30 update brought major changes to Mercy’s Valkyrie ultimate, making it a much less powerful ability. Valkyrie’s length has been dropped to 15 seconds, while Resurrects are no longer instantaneous. There’s no longer a bonus charge of Resurrect from casting Valkyrie, either. As for Junkrat, he’s now got a damage drop-off for his Concussive Mine ability. 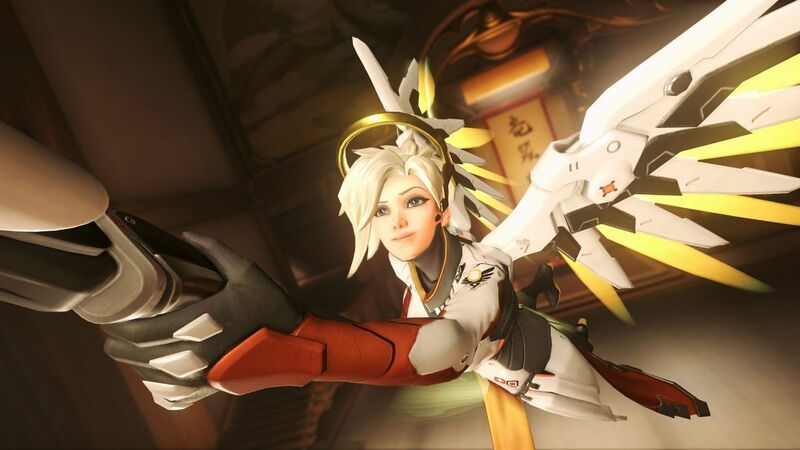 Mercy’s ultimate adjustment is likely going to change Overwatch’s meta, which would make professional play a bit shaky. That’s why Blizzard isn’t going to push hero adjustments until the start of stage two, Overwatch software engineer Bill Warnecke said on Reddit earlier this month. “Stage two will be on an updated patch that will include whatever hero balance changes make it through to live,” Warnecke wrote. The Overwatch League uses a tournament server designed specifically for use in the league. Players have access to the special server for scrimmages, too; they use that for specific practice rather than simply playing with whatever changes have been made for the live game. Overwatch League pros will continue to play on an older patch without the Mercy and Junkrat changes until the conclusion of stage one on Feb. 10. Players will have from Feb. 10 to Feb. 21, when stage two begins, to practice on the new patch. Any changes made to the game before Feb. 21 will likely go live on the tournament server. But the Mercy change is, by far, the biggest change coming.